Hi everyone; our good friends at PetShop.co.uk have let us know of a few special deals they’re doing for the Black Friday/Cyber Monday weekend and have allowed us to share them with our lovely readers. As you may remember we’ve reviewed some of the products they offer before and been impressed by their range and the quality of service. Obviously, Black Friday/Cyber Monday isn't a traditional English thing but over the recent years it has seemed to become a big weekend to grab a bargain; so why not to take advantage of these offers and get something nice for the animals in your life; be it an early Christmas present, or just re-stocking on everyday essentials. 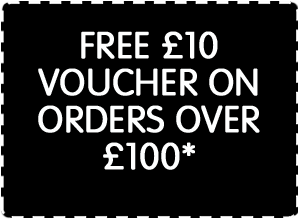 A free £10 voucher for every £100 spent (voucher sent within 7 days of a qualifying order). EXTRA 20% off selected brands: James Wellbeloved, Royal Canin and Applaws. EXTRA £10 off on all big bags of Hill’s science plan. 12 free dog trays when you buy any big bags of Huntland or Country Kitchen food. 35% off Yumove Joint Supplements. Hope all you animal lovers can take advantage of these offers and snap up a few bargains! Mina-san, konnichiwa! Hope everyone is settling nicely into Autumn and getting snuggled up in front of roaring fires; but nice as Autumn is, it never has enough cute to put happy smiles on our faces... which is why we're pleased to have received an incredible Autumnal boost of cute from our friends at Kawaii Box! Today we're looking at the October box from Kawaii box; and keep reading because there's going to be a chance for you to win your own cute Kawaii box too. These mystery boxes are a lot of fun and we always look forward to whatever surprises pop out at us; in October's box we had eleven items. Some edible, some not. Some functional, some not. Some decorational...but the overall impression is that this box lives up to its name. It is a lovely box of cute. On the edible side of things we had some Meji DIY Sushi-bar gummies (we've had these before and had fun with them) and one Unchi-kun poop lollipop (yes, it looks like a cute poop; like that poop app game thing you get on most smartphones; disclaimer: does not taste like poop). On the decorational side of thing we were sent some heart shaped nail flakes, some jewellery seal deco stickers, an animal sticker sheet and a pattern envelope set. And, finally, on the functional side (and possibly, also, decorational – depending on what you do with it all) we were sent a popcorn rolling stamp set, a finger family monster pouch, a lollipop pen, a Neko Emoji mini mini pouch, and – probably our favourite (and I'm going to have to stop Neil from running off with ) a flan Dakigurumi Plush Pouch – which I can only describe as a cute, soft, rainbow rabbit pencil case-type- thing. These are so cute! I have to say that whenever we receive a box from our friends at Kawaii Box we always open it with a smile on our faces. Most of the items we received will be gifted to my niece as she will love it! It did brighten our Autumnal day and hopefully it will hers too! The Kawaii Box costs $18.90 (which is around £12 - £13) a month and this includes free worldwide postage. The box contains between 10 - 12 super cute items. To find out more and subscribe please visit the Kawaii Box website. Kawaii Box is kindly giving one of our lucky readers the chance to win one of their cute boxes (please note: the items in the box will differ from the ones we received above). To enter please use the Rafflecopter widget below. Good luck! Disclaimer: The October 2015 Kawaii Box was sent to me for the purposes of this post. All opinions are my own. The competition is being run directly by Kawaii Box.